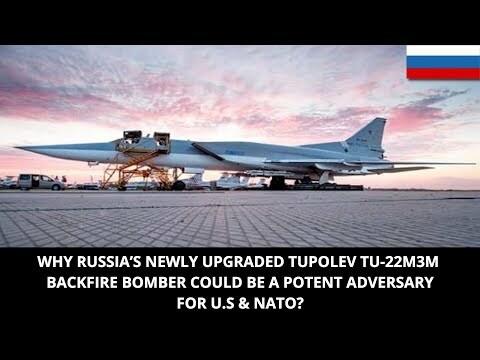 The Tupolev Tu-22M (NATO reporting name "Backfire") is a supersonic, swing-wing, long-range strategic and maritime strike bomber developed by the Soviet Union. 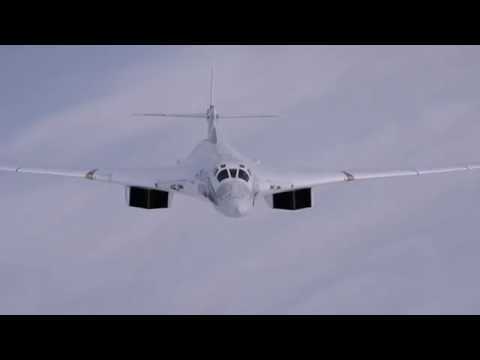 Significant numbers remain in service with the Russian Air Force.The later Tu-22M3 (NATO 'Backfire C'), which first flew in 1976 and entered service in 1983, had new NK-25 engines with substantially more power, wedge-shaped intakes similar to the MiG-25, wings with greater maximum sweep, and a recontoured nose housing a new Leninets PN-AD radar and NK-45 nav/attack system, which provides much-improved low-altitude flight (although not true nap-of-the-earth flying). It had a revised tail turret with a single cannon, and provision for an internal rotary launcher for the Raduga Kh-15 missile, similar to the American AGM-69 SRAM. The new aircraft had much better performance than the -M2. It was nicknamed Troika ('Trio'), although apparently it is sometimes referred to as Tu-22 in Russian service.